It is rare to hear anyone dispute the benefits of having a mentor in the workplace. Mentors help guide you along the path of your career and advocate for you when you need them. Having a mentor can be the difference between getting ahead in your career and staying stagnant. However, of people being mentored, very few are being mentored by women. It’s important for women to act as mentors, not only to lift up future leaders but to also improve their own leadership skills. In all our triumphs, promotions, and successes, there’s one major thing we can forget to make time for—teaching. Don’t forget to reach back and pull the next generation of talent up along with you as you climb. Here are four reasons you should consider a mentorship in your life. The more that you mentor, the better you become. 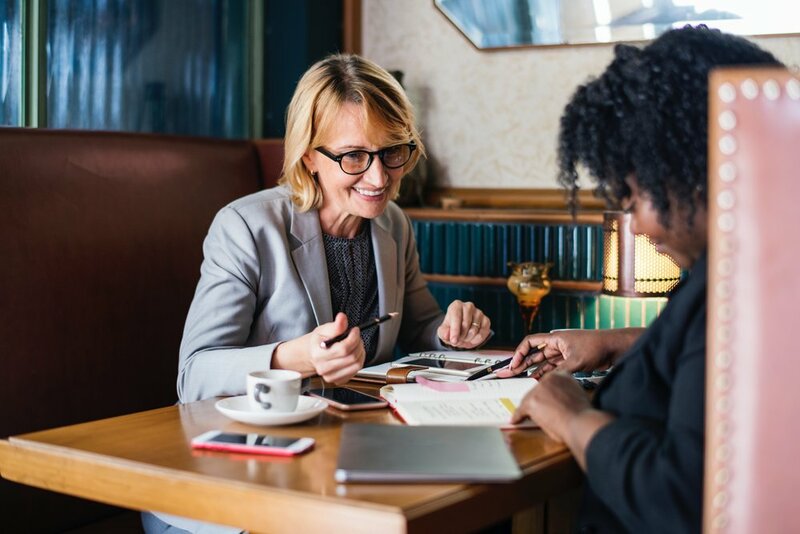 Being a mentor allows you to develop skills such as listening, perspective, self-knowledge, compassion and courage, entwined with integrity and trust – and all attributes that enable you to be a better leader in your own right. Though we are starting to see numbers evening out at junior levels within organizations there is still an incredible imbalance of women in leadership at the executive level. When women enter the workplace they should have examples to look up to, as well as mentors to advocate for their advancement. Gender disparities still exist in the workplace. Therefore, it is important that female mentors help both men and women navigate and consciously work to improve equality. Equality makes the workplace more diverse, leading to more innovation and creativity. You can’t take from others without giving something back. It’s important to take the time to invest in future female leaders—no matter how cluttered our schedules are. Surround yourself with people who build each other up, support each other’s career development, and make time to teach each other. It’s a win-win for everyone. Nobody makes it alone. Those of you who have already ascended the elusive corporate ladder know how true this is. Keep in mind, there’s as much in it for you as a mentor as there is for the mentee. We all have demanding jobs and struggle to achieve work-life balance; however, mentoring is well worth the small investment of time. What are you waiting for? Now is the time to open the door for future business leaders by empowering them with the gift of your mentorship.